My across-the-hall science teacher partner in thoughtcrime has a bag of tricks that would make Felix green with envy. Today, he reached in and a microphonograph and a deck of Audible Audubon cards appeared. 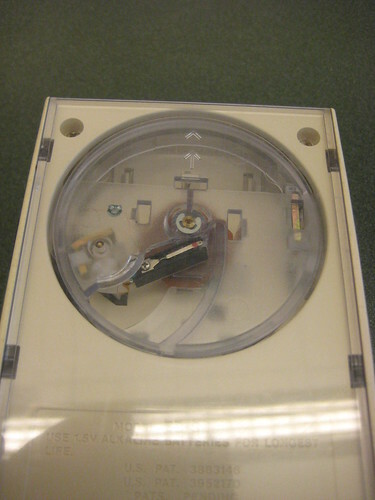 The Microsonic microphonograph uses a fixed platter/record and rotates the tonearm. Manual pages can be found here, here and here. 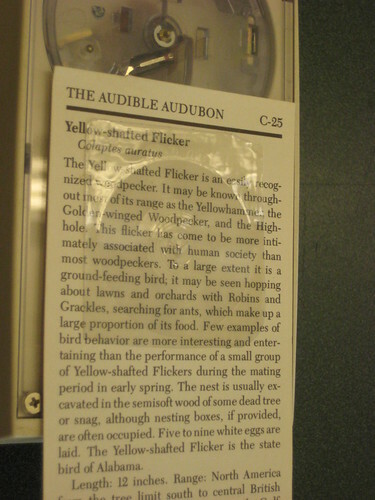 The Audible Audubon are a series of cards – one per species. On one side there is a picture of the bird; on the other, a brief narrative description and a clear record. Put the card in the microphonograph and out come calls! A nice little bit of late-70’s tech and a reminder of how much more available info is now that it’s digitally encoded in semi-standardized ways (see Sibley and Audubon iOS apps). This entry was posted in creatures, gearheadism, wunderkammer by dr.hypercube. Bookmark the permalink.